Below you will find listings of ALGERIA VENDING MACHINE SUPPLIERS. These northern africa Algerian vending machine companies may offer the following types of vending: Snack, Soda, Drinks, Candy, Coffee, Food, Deli, Healthy Vending Machines, Micro Markets, Coin Operated Amusement games, Machine Repair Services and more! Listed in alphabetical order by company name. POST YOUR COMPANY-Get New Businewss! 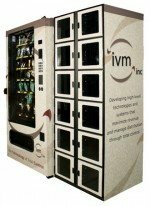 Place your ALGERIAN vending machine company services listing here! Dbaa, s.a.r.l.- Vending Machines Algiers, Algeria.